If you live in the Chicagoland area you don’t fully discount the need for rock salt until the beginning of June (only a slight exaggeration). 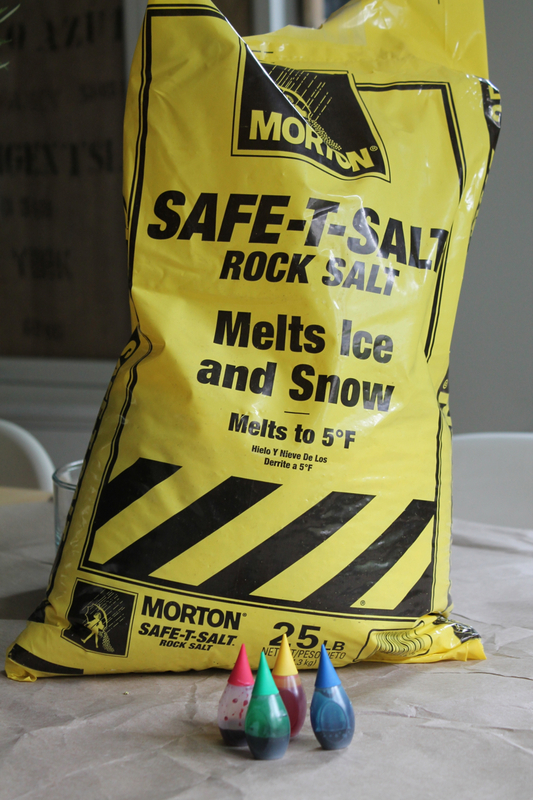 I figured it was safe to experiment with that half-full bag of rock salt I had on the back porch – the threat of snow is behind us now. 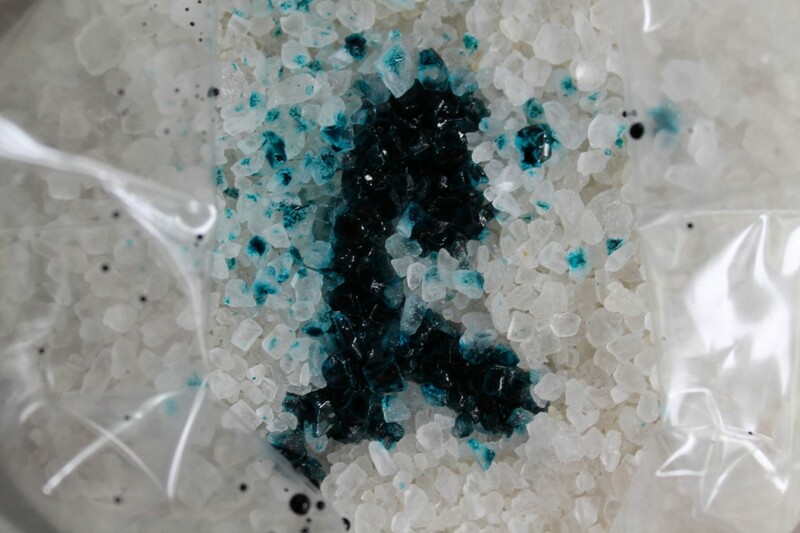 Rock salt is easily dyed with food coloring. 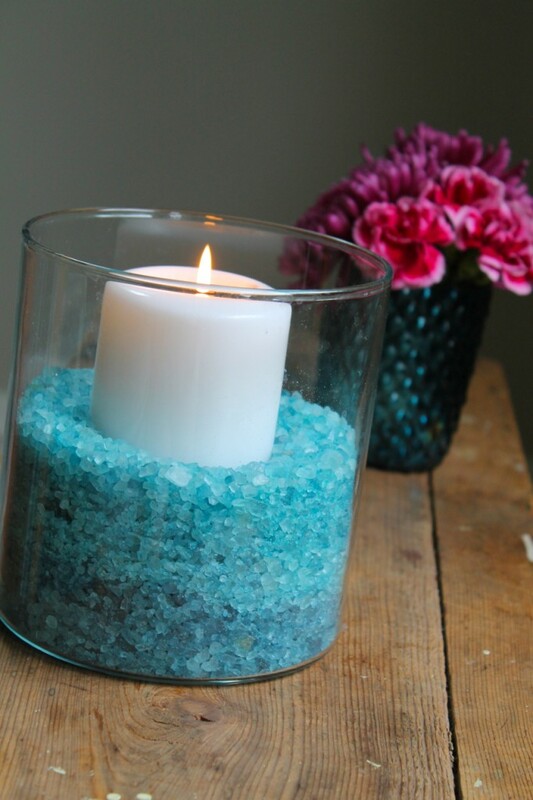 This treatment makes the rock salt look like quartz. 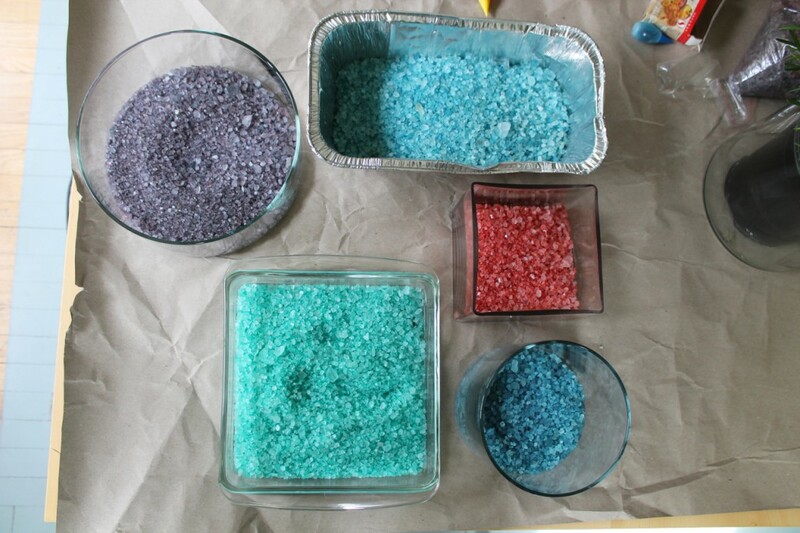 For this project you will need: rock salt, food coloring and a thick ziplock bag. 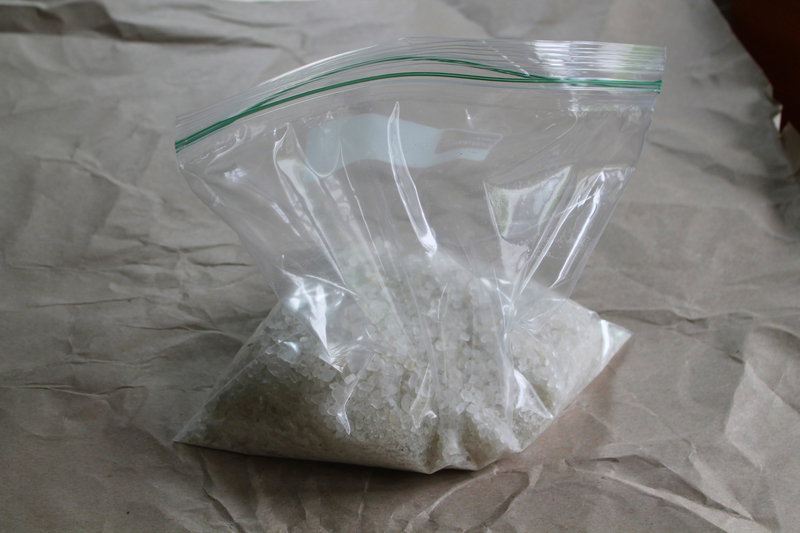 Place desired amount of rock salt in a heavy-duty ziplock bag. Add several drops of food coloring to salt. The more you add, the darker the hue. Seal bag. Gently massage bag to coat the salt with the food coloring. 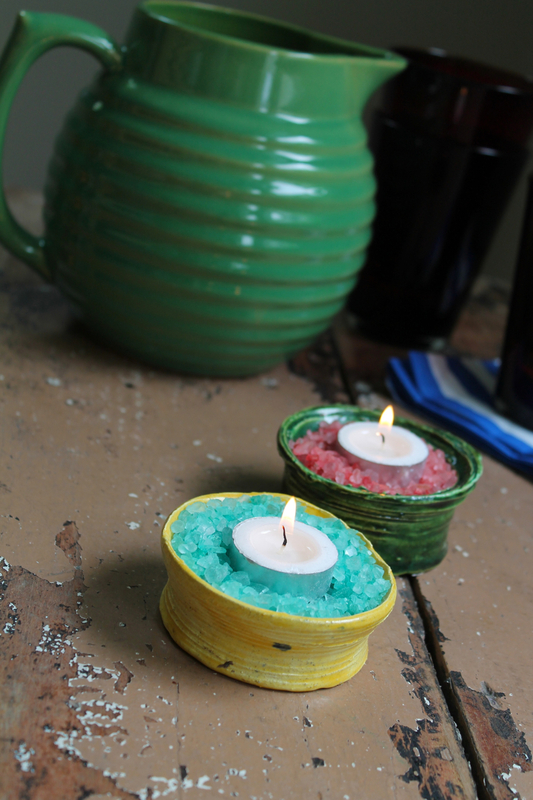 The salt won't be damp – but the food coloring will come off on your hands if you handle it too soon. 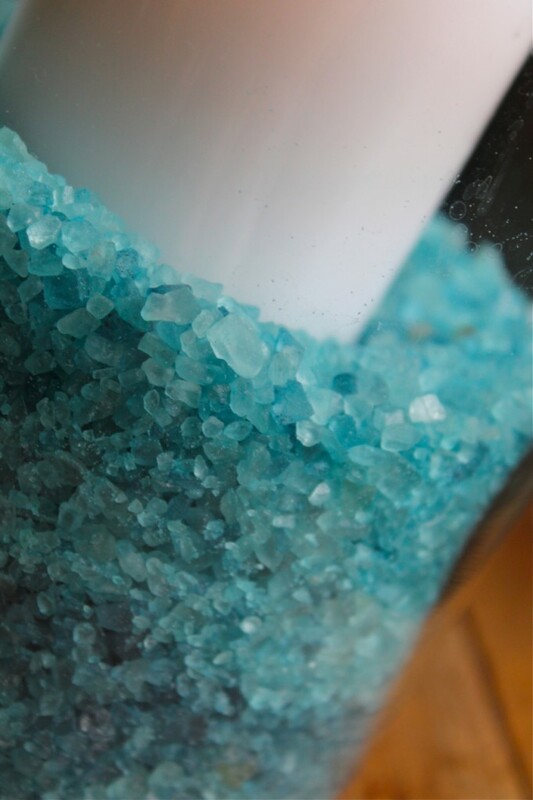 Allow salt to dry in open containers for about 10 minutes. 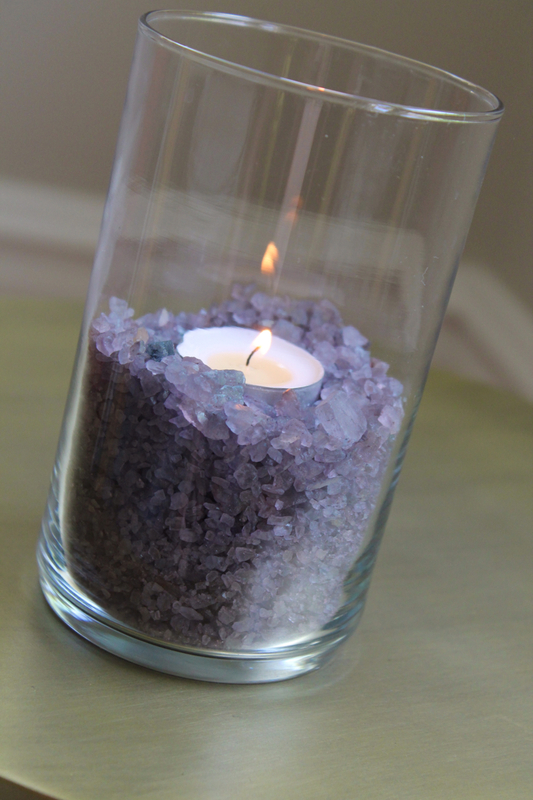 To create this amethyst color, I mixed blue and red food coloring in the bag first, then I added the salt. 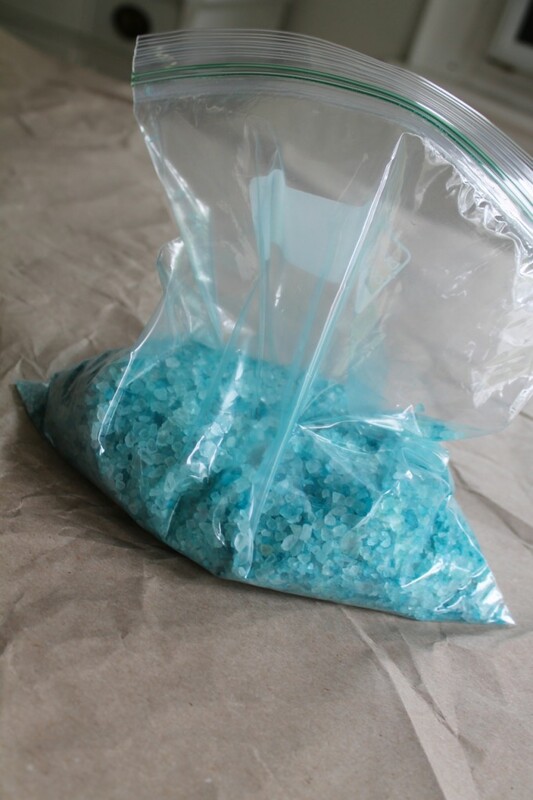 When not in use, you can store your colored salt in ziplock bags. 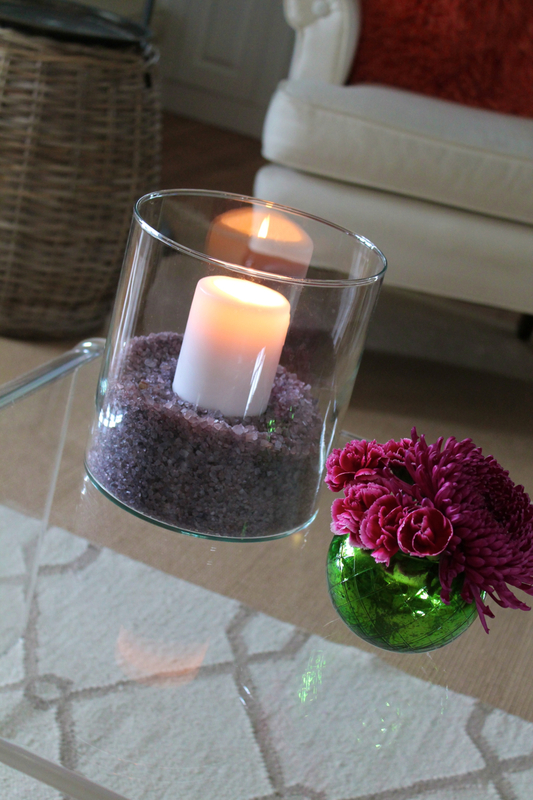 I love the way the purple turned out – it really does look like amethyst. So pretty! How did you get that gorgeous turquoise color in the second to the last photo? That is a super awesome idea. It doesn’t snow or get icy in the Bay Area so I would have to figure out where to get the salt from. This is so cool!! Will be perfect decor for a bridal shower I am planning. Thanks!